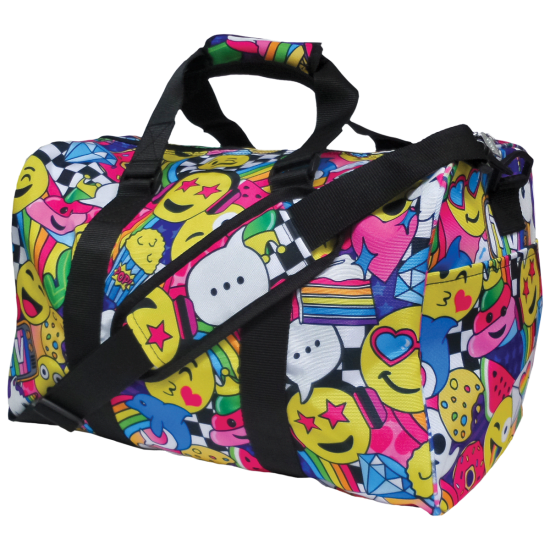 Our emoji party duffle bag is great for after-school activities, sports, cheerleading, camp or going to the gym. 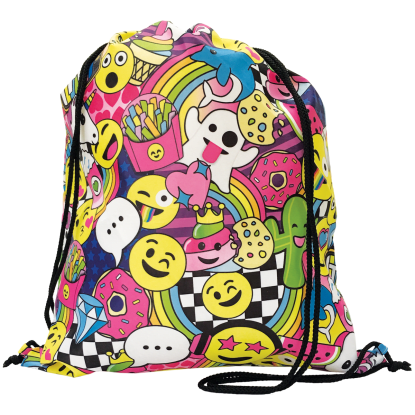 It features both short handles as well as an adjustable shoulder strap for comfortable hands-free carrying. The small outside pocket is great for keys and a cell phone, or anything else you need easy access to. 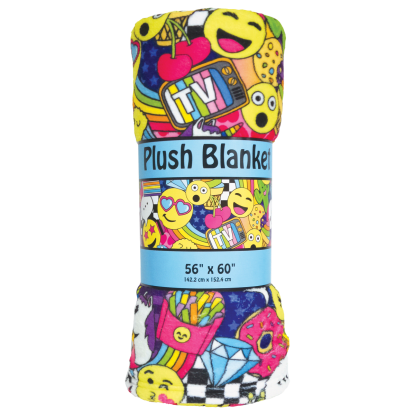 It also includes an inside zipper pocket. 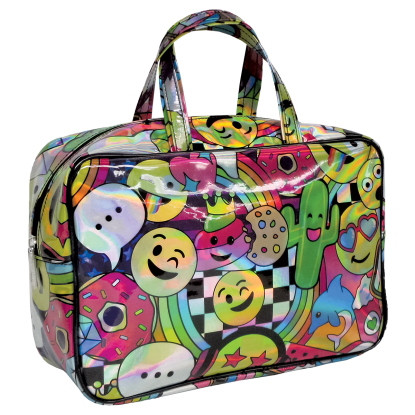 The bag measures 17″ X 11″ X 11″.